In the course of making my film on intuition: PGS – Intuition is your Personal Guidance System – I cannot begin to tell you how many times I’ve been rejected. Rejected by financiers, rejected by distributors, rejected by potential investors, rejected by those whom I thought were my friends. I started seeking backing for this film around about 2006. That’s over a decade of constant rejection. I used to take it personally. And truth is, it got me down. And at times, it made me question whether there was even merit in doing the film. But here it is, nearing completion. And not only is it looking great, but the response to it from work-in-progress screenings has been hugely gratifying. I now have 27 wonderful and supportive investors from all around the world, and the film is better for all that prior rejection I faced. In fact, it wouldn’t be anywhere near as good a film if not for that rejection. Because I came to realise that rejection was just the Universe shunting me in the right direction. Seriously, I discovered that rejection is merely the Universe shunting you in the right direction. When I think back on all those times I was rejected – whether it was from a distributor, or an investor, or a financing entity – I thank God for that rejection. Because had that distributor or investor or financing entity come on board the film, it would be a different film. They would have tried to impose their energy upon it, and it would have been the wrong fit. The film would have suffered. Rejection forced me to make the film intuitively. I began, in 2006, trying to put this film together the way I’ve put every other film together – and remember, I’m not new to this. By 2006 I had produced and directed 15 feature films and more than a dozen independent documentaries. I know how to produce a movie. But I kept on getting stone-walled on this one. Everyone would tell me what a great idea it was, and what a great film it would make, but no-one would back me. The traditional way of financing and producing a movie just wasn’t working. It forced me to look at what I was doing, why I was doing it, and I realised I was imposing my will on the process. It had worked in the past, but it wasn’t working this time. Not with this film. So I started to look at rejection – and I began to ask myself why? Instead of taking it personally, I began to try and look at the bigger picture. Why was this happening? And it occurred to me, not immediately but over an extended period of time, that those rejections, as disappointing as they were at the time, were crucial in leading me to either think differently about the film, consider other more energetically aligned options, or to leave myself open to a better fit from some other person or opportunity. And it continues to happen. I now look at rejection in a totally different way. I am thankful for rejection. Because I know that the Universe knows better than me. That there are better things around the corner. I have now learned to trust that rejection is the redirection I didn’t realise I needed. Or perhaps deep down I did realise, but common sense or my wilful intellect led me to the door of rejection anyway. There is such a thing as Divine Timing. I believe that now. I’m impatient. I’m an impatient person. I want things to happen now, in my timeframe, to suit my grand plans. I have learned, through the making of this film, that my timing is irrelevant. And if I try to impose my timing on something, then invariably things don’t work out as best they could. I now trust in Divine Timing, and I wait for things to align. People say that persistence is the key to making things happen. Within persistence there is a strong element of force, and will. For me, that now doesn’t work. What works now is trust. Ultimately this is all about intuition. Knowing that your intuition is a guidance system that’s designed to keep you on your destiny path. Believe it or not, rejection is part of that guidance system. Sometimes it’s a rude and brutal part, but it’s guidance nonetheless. 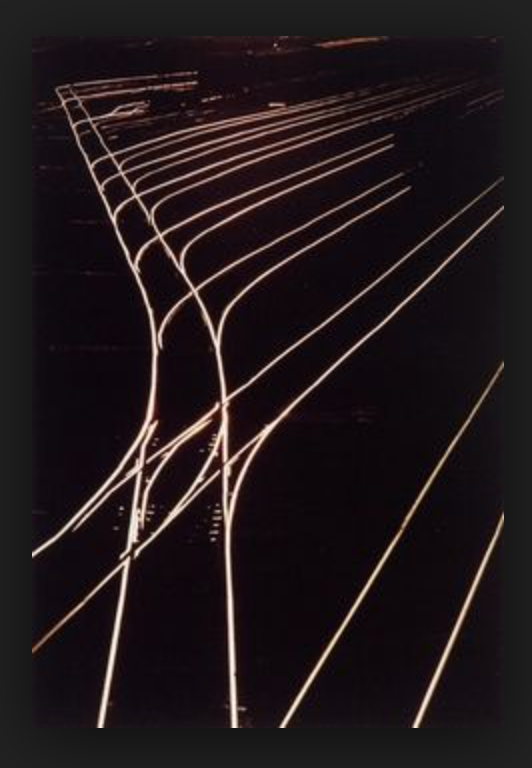 Photo by W Eugene Smith, from his Newcastle Railyard series. Thank you for this. I wonder (wish) there were a way to gently suggest this to those who are not used to this mind set when they are facing loss and rejection. A simple, “this is happening for a reason” can be taken badly by those who are not used to divine timing. And yet, maybe their difficulty with such a suggestion is actually divine timing! This simple school teacher is very grateful for your work. You know Bill, I fundamentally believe that bad things happen to good people, but I can’t accept that it is ordained and followed by something better. As you know, I base this on my personal loss of my wife Shelley 18 years ago in a sudden and tragic motorcycle wreck. She was only 46, in the prime of her life, and left three teenage children of whom she had custody. To this day, I can not see that anything good came from that. Now, having said that, I never said “why me?” If not me, then who should be suffering such a loss? I am constantly cognizant that same thing is happening to someone on this earth every minute of every day. Untimely death is part of life, but I don’t necessarily see the light at the end of that tunnel. Of course, one should go on, as you know that I have done, and I have had to accept the finality of that loss, but I doubt I will ever see that incident as anything other than a “bad thing” with no redeeming features. Just my personal experience and thoughts. And happy birthday today! My goodness, who would think you’re 84??? I did not expect a comment Bill, and it is one of those things that we all know intellectually, but until it becomes personal, it is only intellectual. Everyone reacts differently to such a situation, and I can only speak for myself. With Shelley’s death, I did not see, and still don’t, any silver lining, but I did know at the time that life goes on and I could either stand in front of a door that would never open, or keep opening future doors to see what was behind them. I am still opening doors. Another did not come thru. Thanks for the calls from you and Jennifer. Made my birthday so much better. Bill. I posted a rather lengthy response, and it has not shown up. See if you can find it. Bill, As you know, I am not as good a follower of your Blog as I’d like to be, but I have to tell you that every time I read it, I think WOW…I should be reading this every day!! Your “voice” rings true to my ears in nearly everything you say and post. Your last 2 posts have especially hit home with me as I returned from my most recent Camino even more convinced that my ideas on “religion/spirituality” were possible, even if they are not very accepted in my zip code!! Your recent blog mirrors and validates my beliefs. Of course, i felt compelled to read on and see what else you’ve been blogging about and came across your thoughts on “rejection.” I can’t tell you how relevant they were and how welcome…like a gift which lifted my mood. Returning from my Camino to a flurry of activities with family was good, but now I am once again in my quiet house, alone, and wondering, (yes, you know I ruminate on this stuff way too much) about my most recent relationship rejections. Your words really rang true and it felt good to hear them. I look forward to being pushed in the right direction and am opening myself up to the possibility of that happening very soon!! Thank you once again for your incredible ability to verbalize your thoughts in a way that helps others. You have a real gift and I can’t wait to see the final film cut !!! Dear Camino searcher, I wish I knew your name because I’d like to thank you personally for your very kind words here. It’s hugely gratifying to hear that my posts have in some small way helped you. I use this blog to try and make sense of the world, not to proselytise, and it comes as a surprise to me when I get lovely comments like yours because sometimes it feels like I’m dropping pebbles down a bottomless well, and I never expect to hear a splash! Haha. So thank you for your splash!